Radiation treatment is the medical use of ionising electro-radiation to target and control cancer cells. A radiation treatment is non-invasive, and is similar in experience to having a CT scan. Radiation treatment is performed using our linear accelerators and superficial x-ray therapy machine. We are the only superficial radiation treatment provider in Christchurch . Treatment is a simple non invasive procedure , and is normally delivered Monday to Friday with an average of 10 treatments. Although surgical excision is the current treatment of choice for the majority of cutaneous non-melanoma skin cancers, superficial radiation treatment (SXR) will in some circumstances, provide the best cosmetic and /or functional result as a primary treatment. This is more likely where surgical intervention may be difficult due to the location of the tumour such as lesions arising on the lip, nasal area, inner canthus, eyelid, nail bed or ear. Superficial radiation treatment is also used following surgery for inadequately excised tumours, local recurrences, or after complete excision to reduce the chances of recurrence in the surgical site. 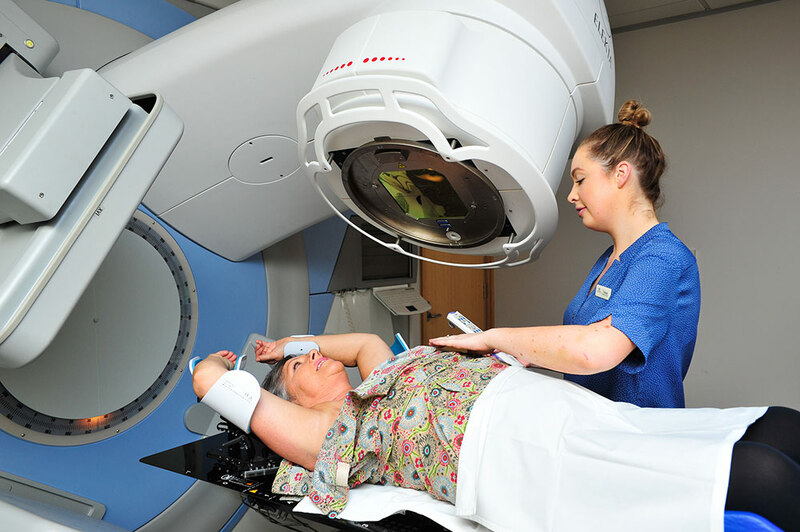 Our state-of-the-art Elekta Synergy linear accelerator allows us to perform a range of treatments including IMRT (intensity-modulated radiation therapy), SABR (stereotactic radiation treatment, DIBH (deep inspiration breath hold) and IGRT (image-guided radiation therapy).